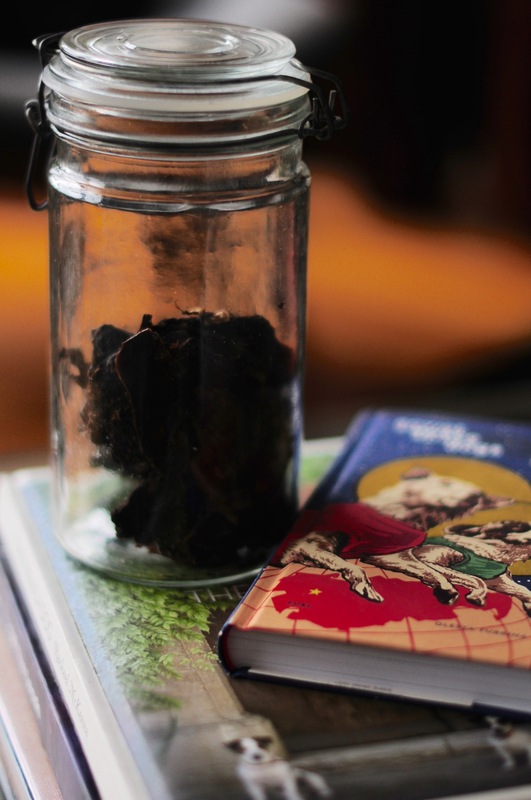 Make your own dried liver treats and know exactly what goes into them. 1. Cut the liver into thin strips – sometimes this is easier done if the liver is slightly frozen. 2. 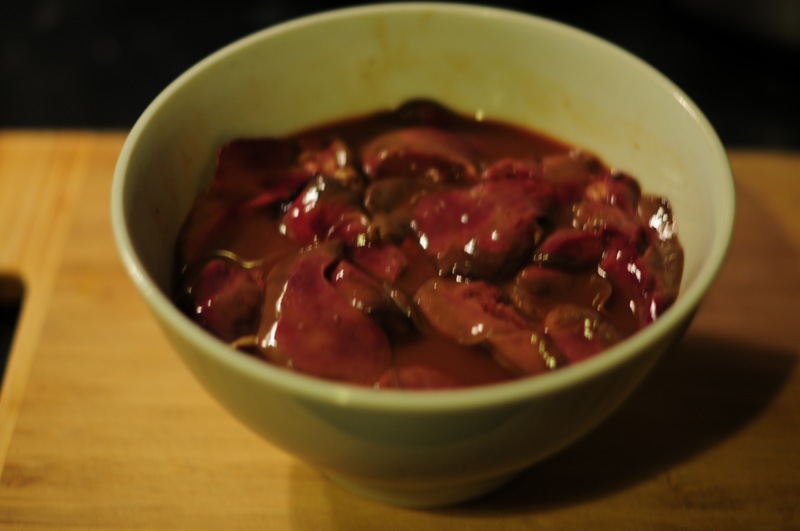 Mix the ingredients above and marinade the livers for at least a few hours or overnight in the fridge – ensure the mixture covers the meat. 3. Place marinaded liver on paper towel to absorb excess liquid then place on baking paper on a baking tray. 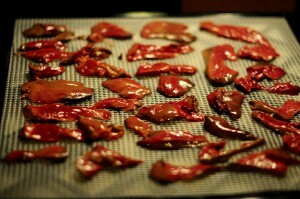 Bake on a very low oven (about 50C) for about 8 hours or until it looks and feels dry. 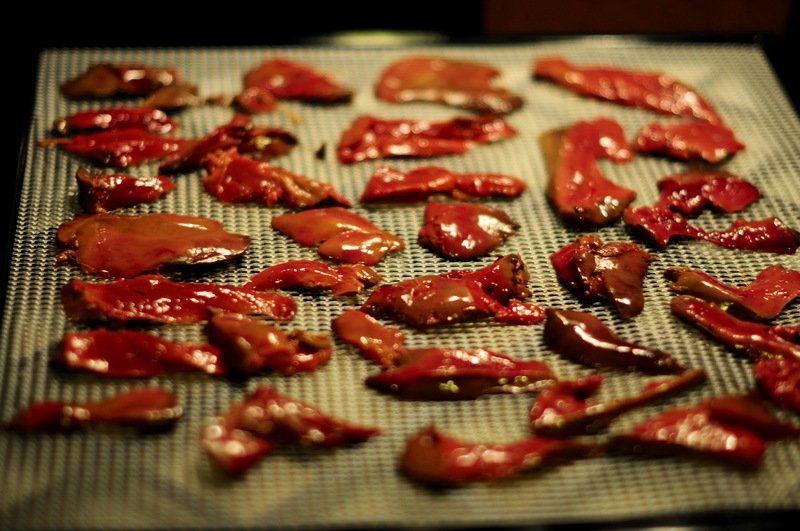 Alternatively, (and ideally to maintain the nutrients and enzymes in the meat) if you have a dehydrator, place the meat on the tray and follow the instructions for your particular machine. 4. Cool the treats and store in an air tight jar. As with any meat product, proper handling and preparation is essential. How much bone do I need in my dog’s meal?